Hotel Signum is placed on the Island of Salina (Messina Province) at a walking distance from the sea and surrounded in a lush garden in Salina, the second largest Island of Aeolian Archipelago. Most of the Island of Salina hosts the natural reserve “Le montagne delle Felci e dei Porri”, a green paradise rich in flora and fauna. The nearest airport is Fontanarossa in Catania (150 km) while the Island can be reached by ferry or hydrofoil from several coastal towns. How to reach the hotel – The nearest airports are Catania, Reggio Calabria and Palermo. You can reach the island by hydrofoil or ferry from the ports of Milazzo, Messina, Reggio Calabria, Palermo and Naples (www.siremar.it or www.usticalines.it) or by helicopter (www.airpanarea.it). Once on the island you will find several taxi services that will take you to the hotel located at about 7 km away from the main port. Signum is a 4-star boutique hotel, cleverly restored from an old country hamlet. The garden consists of large common areas and terraces, but also intimate and romantic corners. The hotel houses an infinity pool with sea view, 26 rooms, a reading room with library, a bar, a restaurant and a Spa. Each room, named after a typical plant of the island Salina, features a unique style and fine details like antique furniture, design objects and precious fabrics. At guest disposal air conditioning, ceiling fan, satellite LCD TV, Sky, Wi-Fi connection, minibar and safety box. Classic – double or single room (18 sq.m.) with garden view (3rd bed on request). Superior – double room with 3rd and 4th bed on request (20 sq.m. ), garden or pool view. Deluxe – double room (20 sq.m.) with seaside view. Deluxe Terrace – double room (20 sq.m.) with seaside or sea view and terrace. Executive Deluxe – double room (22 sq.m.) with terrace and seaside view (3rd bed on request). Suite – double suite with 3rd and 4th bed on request (40 sq.m.) and sea view. Suite Terrace – same as the Suite with a nice terrace with either view on the sea or seaside view. Signum Hotel boasts a wonderful sea view because located just a few steps from a pebble beach. The Island is filled in secret bays and small inlets with rocky backdrops but also breathtaking cliffs. The Salus per Aquam Spa offers a range of treatments and products based on the natural properties of Salinola, an ancient volcanic land. The hot springs of the outdoor wellness area is natural as well and feed the steam baths, the water theraphy, the knipe walk and the Jacuzzi. The Spa was an a traditional and typical Aeolian building surrounded by greenery. The indoor hosts the large area dedicated to body and face treatments and massages. The Signum Restaurant offers an elegant atmosphere, a Mediterranean cuisine with a pinch of creativity and a good selection of wines with a special attention to small producers. Guests (from outside the hotel too) are welcome in the romantic terrace with Stromboli and Panarea view during the summer and in the garden veranda during the winter. The restaurants is open during the same period of the hotel and offers more lighter and faster menu for dining then in the evening. The concierge service of Signum Hotel is at your disposal to organize mountain excursions, boat trips and wine tastings. 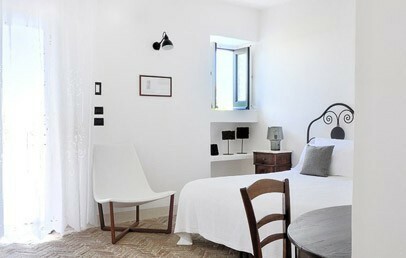 The Classic rooms are all different from each other and feature a comfortable mix of ancient and design furniture. 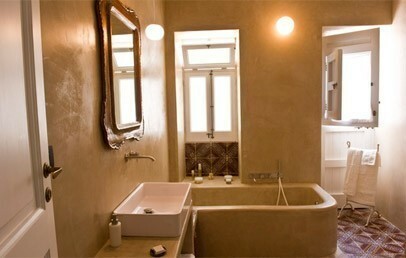 The en-suite bathroom has a shower and is equipped with hair dryer, bathrobes, slippers and complimentary toiletries. The Classic rooms have a garden view. Some rooms have a disabled-friendly bathroom. Bright rooms. They can host, on request, a 3rd and a 4th bed. They are all different from each other and feature a comfortable mix of ancient and design furniture. The en-suite bathroom has a shower and is equipped with hair dryer, bathrobes, slippers and complimentary toiletries. The Superior rooms have a garden or pool view. Deluxe rooms are all different from each other and feature a comfortable mix of ancient and design furniture. The en-suite bathroom has a shower and is equipped with hair dryer, bathrobes, slippers and complimentary toiletries. They are on the seaside. Large and bright that can host, on request, 3rd and a 4th bed. They are all different from each other and feature a comfortable mix of ancient and design furniture. The en-suite bathroom has a shower and/or tub and is equipped with hair dryer, bathrobes, slippers and complimentary toiletries. They have a sea view. Deluxe rooms are all different from each other and feature a comfortable mix of ancient and design furniture. The en-suite bathroom has a shower and is equipped with hair dryer, bathrobes, slippers and complimentary toiletries. They have a terrace ont the seaside. The 2 Executive Deluxe rooms are located in the main building, one on the ground floor and the other on the first floor. Both are bright, different from each other and feature a comfortable mix of history, design elements. The en-suite bathroom has a shower with hydromassage jet function column and is equipped with hair dryer, bathrobes, slippers and complimentary toiletries. The Executive Deluxe have a lovely terrace with sea view. Large and bright Suite that can host, on request, a 3rd and a 4th bed. They are all different from each other and feature a comfortable mix of ancient and design furniture. The en-suite bathroom has a shower and is equipped with hair dryer, bathrobes, slippers and complimentary toiletries. They have a terrace with sea view. Upon confirmation, please inform us if you are interested in booking a table at the Signum Restaurant or SPA treatments.